It's official Americana is coming home. 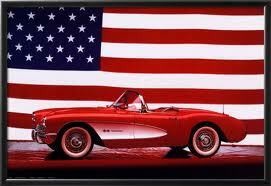 IT’S OFFICIAL - AMERICARNA IS COMING HOME! The event is returning to home ground and the dates have been set for 22nd – 25th February 2012. We are thrilled for Americana to be back, cruising the Taranaki province and can’t wait to have you join us! Book now for accommodation to avoid dissapointment. If you can’t find the answer to your questions on the website, please feel free to contact . With Taranaki’s epic surf, spectacular gardens, great events, legendary mountain & countless outdoor adventures it’s easy to see why the region prides itself on being a destination 'like no other'. With Taranaki’s epic surf, spectacular gardens, great events, legendary mountain and countless outdoor and cultural adventures it’s easy to see why the region prides itself on being a destination ‘like no other’.